2018 Walt Disney World Marathon By The Numbers |Run, Karla, Run! | Run, Karla, Run! The 2018 Walt Disney World Marathon Weekend presented by Cigna from January 3-7 at Walt Disney World in Florida marks the 25th anniversary of the Walt Disney World Marathon. 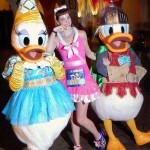 The four-day Dopey Challenge celebrates its 5th anniversary. The racing extravaganza is the largest running festival in the U.S., according to RunningUSA, with five main events: Walt Disney World Marathon, Walt Disney World Half Marathon, Walt Disney World 10K, Walt Disney World 5K and runDisney Kids Races. 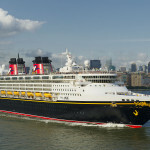 That includes runners doubling, tripling, or quadrupling their fun with the Dopey Challenge, Goofy’s Race and a Half Challenge, and Castaway Cay Challenge for runners taking a Disney cruise after the race weekend. It all adds up to one big event. Nearly 69,000 finishers completed races in 2016. So take a look at Mickey Mouse’s favorite race weekend by the numbers. All stats provided by runDisney prior to the start of the races. 7,800—Dopey Challenge registrants, who complete all of the 5K, 10K, half-marathon and marathon. *Ed. Note: This is an estimate. runDisney provided 2,800 as a number, but based on the number of Dopey finishers and the 2017 registration number, 7,800 is likely more accurate. Thanks to readers for catching the mistake! 76—”Perfect” runners, who have finished every Walt Disney World Marathon since 1994, are registered in 2018. 45 of them are from Florida. 8,200—runners at the first Walt Disney World Marathon. 25 years later, 25,500 runners will toe the line. 2003—the “Perfect” program debuted with 152 runners who had finished every Walt Disney World Marathon. 76 are left. 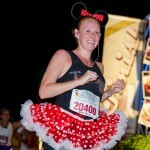 1—race that runs through all four Walt Disney World theme parks. The one, the only, Walt Disney World Marathon. Want to know what it’s like to run Disney? Read about my experiences! 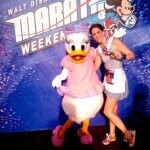 As media, Disney sometimes provides me with complimentary attendance at runDisney events. But as always, all opinions are purely my own. Seriously. For more information read my Disclosure Policy. 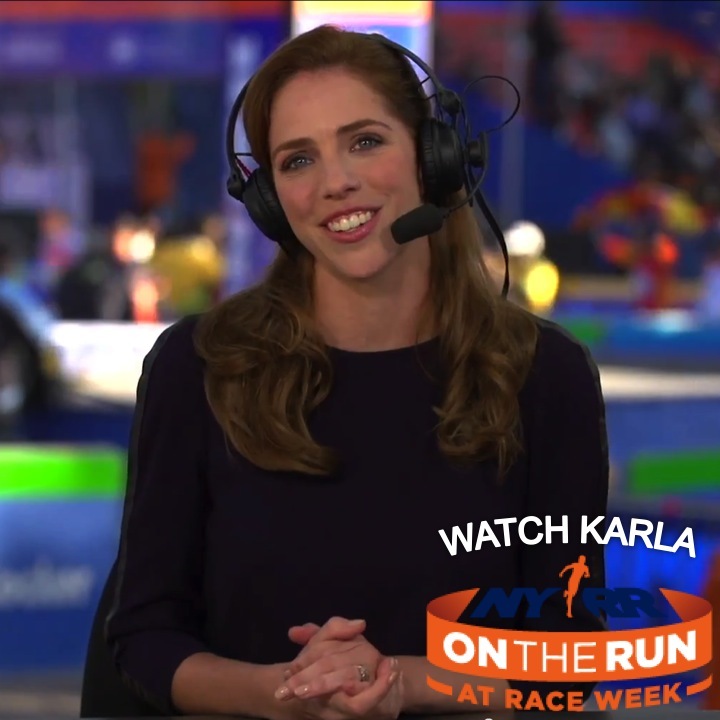 Karla Bruning is a race announcer at the TCS New York City Marathon + other major events, TV host for the New York City Triathlon + contributor to Shape, Redbook, Runner's World + other publications. She used to report for Newsweek but spent her free time squeezing in workouts. Now it's her job. 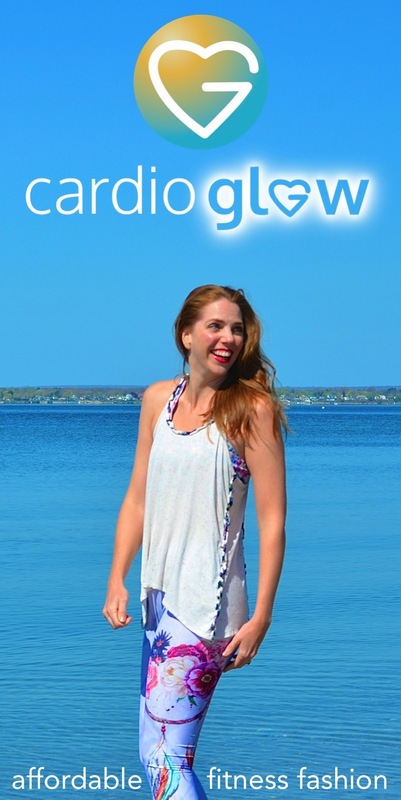 She's run 8 marathons, 30 halves, 10 triathlons + open water swims. When she's not running, talking about running or writing about running, she's snuggling her baby, spoiling her dog + compulsively traveling. I see on another site that prior to this weekend there were 714 perfect Dopey’s. Any idea what it is after yesterday? 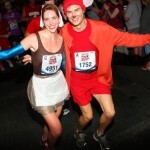 Hi Tom, 600+ “perfect” Dopey runners was the number I got from runDisney going into the weekend. But I haven’t heard how many actually finished in 2018. Sorry! Hi! Where did you get these numbers? Just wondering because I really enjoy looking at the numbers for races! Thanks! The results page says 20,025 finishers. Hi Suzy! All these stats come straight from runDisney. They provide them to media in the lead-up to WDW Marathon Weekend. I love numbers too! I love “By The Numbers” type posts! Did runDisney happen to say how many individual runners there were for the weekend? So, like, the Dopeys/Goofys and any one else who ran multiple races would only be counted as 1? or is that the 97,000 number and I just misread it? Just curious. Hi Ryan, You read it correctly: that 97,000 is the number of registrations, which includes some runners registered for multiple events. runDisney doesn’t track individual runners, just “registrations” before races and “finishers” after. I think “individual runners” is a complicated number to pin down. RunningUSA, which tracks stats for the sport as a whole, does it the same way. They track “finishers,” not “individual runners.” So when you read that there were 507,600 marathon finishers in the U.S. in 2016 (actual stat), that number includes the person who ran one marathon and the person who ran 20, counted 20 times. So the number of “individual runners” who finished a marathon is actually lower. It’s a great question! Hi , can the runners still purchase the Half Marathon 2018 t-shirts that were at the expo? I also wanted the half marathon magnet. Hi Betty, You’d have to ask runDisney that one. Sorry I can’t help! Any consideration given to possibly include the numbers for the disabled runners and athletes and the means in which they participated, i.e. hand cranks, joggers, etc.? I don’t know if those are stats runDisney tracks. But if they ever release them, I’d absolutely share. I know runDisney gave you the numbers, but the Dopey registrants is way off being that 7629 finished the challenge this year. Hard to do if there were only 2800 registered. The registration number was estimated at 9516, but may be off by about 100-200 bibs, as we used corral numbers and Disney holds a few bibs in each corral as emergency bibs. Also, and I know you had pre-race stats, I can tell you there are now 74 perfect marathoners. Chris, thanks for flagging that! I thought it was off since it was way lower than in years past. It must have been a typo. My guess is the registration number was 7,800 (same as 2017, 2016 was 7500). Amazing that 74 of 76 registered perfect marathoners are still going! Karla Bruning recently posted..Post-Baby Running Goals: 13.1 and 26.2! Really appreciate the numbers! However your Dopey registrant number is way off. Approximately 7700 finished the Dopey Challenge which would mean more than that registered. Not sure where the 2800 number came from. Thanks, Ryan! That 2,800 must have been a typo. I got all these stats directly from runDisney. I’m guessing the registration number was supposed to be 7,800–same as 2017. Injury Update: Stress Fracture or Bone Bruise?